Brand new! Just completed. Designed by Gordon Stein. Fabulous contemporary desert living at The Quarry with Views, Views, Views! South facing on the 16th fairway of the only golf course in the Coachella Valley rated in the top 100 courses in the country by Golf Digest. 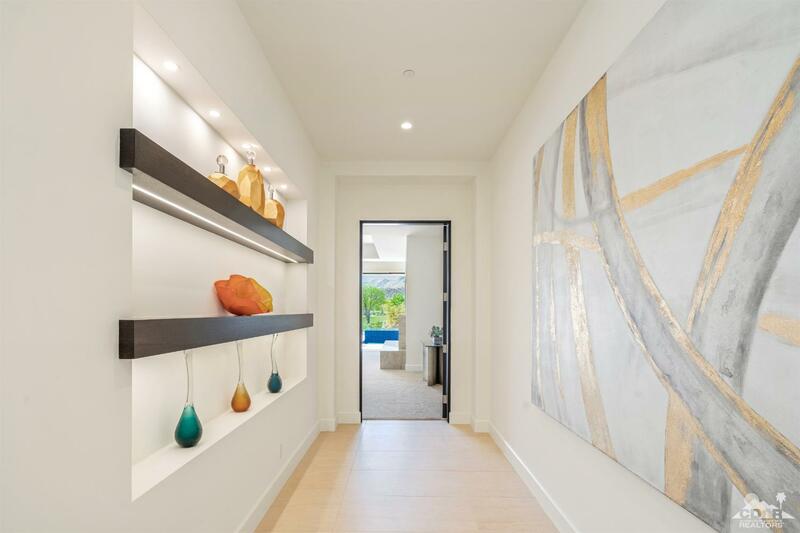 This home boasts 5980 S.F. of luxury. 4 bedrooms including 2 casitas, 1 attached and 1 detached, 4 and 1/2 baths, media room, dining room, office and great room with wet bar. The laundry room has 2 washers and 2 dryers and the kitchen offers a butlers pantry, walk in pantry and 2 dishwashers. There are 8 flat screen TV's, surround sound and 2 fireplaces, 1 in the great room and 1 in the master. The home is plumbed for a whole house water system. 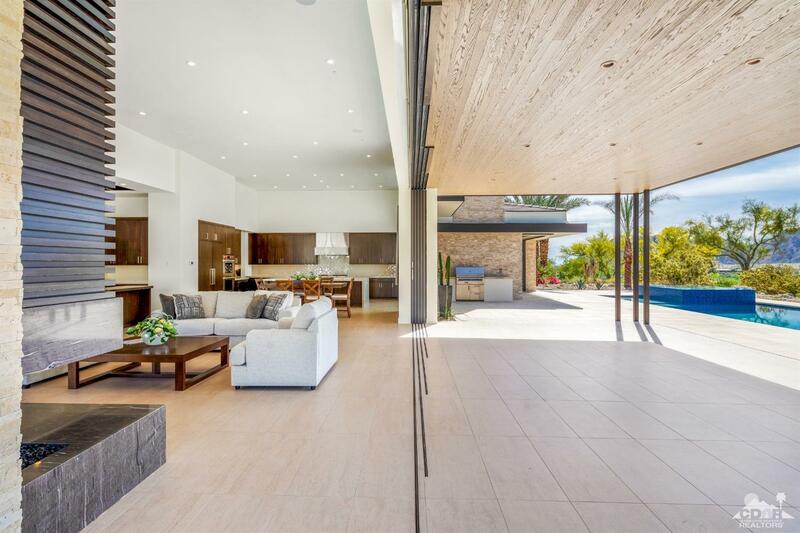 Open floor plan with high ceilings and disappearing glass doors provide seamless transition to the outdoor living space which includes a heated pool and spa, BBQ, fire pit and lovely sunset views! Furnishings, artwork and accessories are included. Call for a private showing.